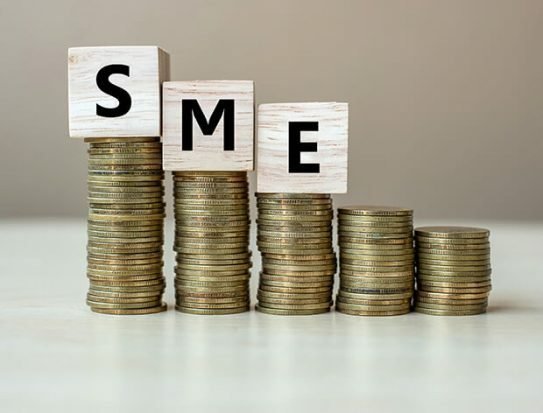 The UK’s small and medium enterprises (SMEs) are increasingly looking elsewhere than banks for their financing needs, according to results of a poll by Growth Street, released this week. The alternative finance provider canvassed over 2,000 directors and employees of British SMEs in January this year, 49% of whom said that they would go somewhere other than a bank when seeking a business finance provider. This comes as small firms across the country face increasing hurdles in access to traditional finance. Although the UK government has ramped up support for SME trade in recent months through initiatives including the bond support and export working capital schemes, figures from UK Finance show that the amount of loans and credit outstanding to small businesses has fallen by nearly £6bn in the past five years. “Our recent research has shown that nearly 30% of UK SMEs require funding simply to stay afloat, yet a large majority find accessing this finance a major challenge. One reason being is there is a reluctance among UK banks to invest in risk and innovation,” says Rob Straathof, CEO of Liberis, an alternative finance provider. Fintech companies have started to fill the gap, with peer-to-peer invoice financing platforms in particular seeing growing uptake amid improved SME awareness of alternative options. Fully 35% of respondents to Growth Street’s poll said that they have considered non-bank finance in the past, up from 30% in 2018, while 66% of respondents said they had some knowledge of finance outside of banks, up from 54% in 2018. “I don’t think business owners want the moon on a stick: they want fast, flexible access to finance, and they want a combination of cutting-edge technology and empathetic, understanding relationship management,” says Greg Carter, CEO of Growth Street. And with nearly half of British SMEs now looking beyond traditional financial institutions for business finance, banks risk losing their dominance of the financial services ecosystem.